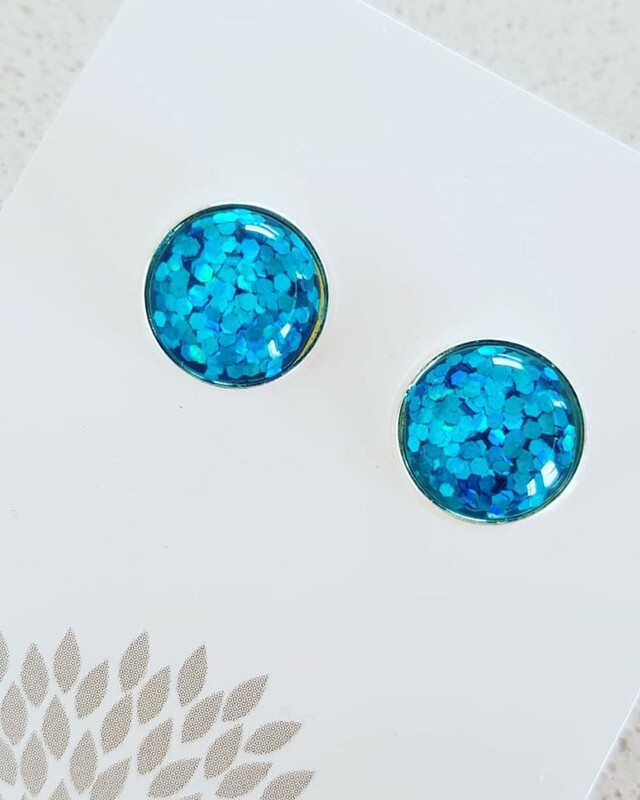 Fabulous and fun are these sparkly studs. They are attached to a silver plated backing. Measuring 12mm in diameter, they are a great size stud.